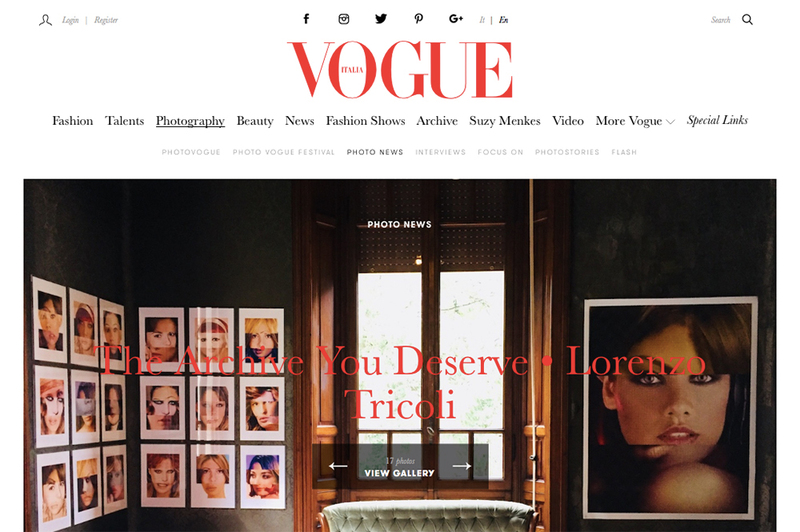 VOGUE ITALIA on our exhibition Lorenzo Tricoli: The Archive You Deserve T.A.Y.D. On June 12, 2018 Francesca Marani of Vogue Italia interviewed our director on our exhibition of the late Milanese artist Lorenzo Tricoli, The Archive You Deserve T.A.Y.D., which showed at Villa Zironi in Reggio Emilia as part of the festival Fotografia Europea 2018. To read the interview click here.